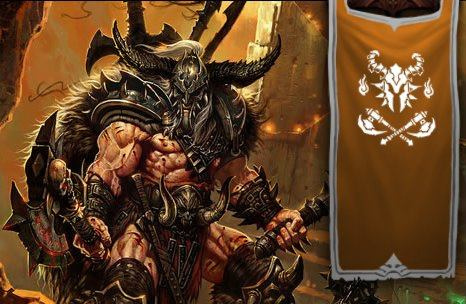 In 2012, Blizzard had a fun web promotion where players could create a customized banner for every class in Diablo III. It took place before the original Diablo III game was released, and was probably intended to create excitement about the game. 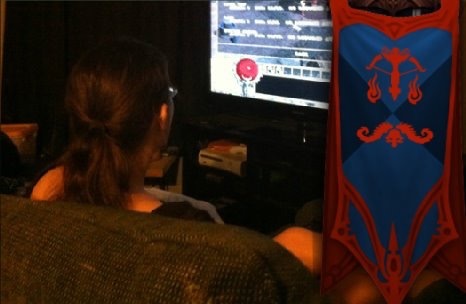 The first class that players could create a banner for was the Barbarian. Other classes rolled out, one at a time, after that. The entire promotion was placed on a website called “Darkness Falls, Heroes Rise”. The website no longer exists, but there is a Forum post that has information about it. Some of the banners made by players were displayed on that site. Diablo III was released on May 15, 2012. Players who participated in the web promotion received the Feats of Strength achievements that were connected to it in June of 2012. It is no longer possible to earn any of the achievements that were connected to the web promotion. Feats of Strength Achievements are found in your Career Achievement board under the tab called “Feats of Strength”. Feats of Strength Achievements do not have any achievement points attached to them. They are just for fun. Players who earned the Feats of Strength Achievements from the web event, and who also got into the Diablo III: Reaper of Souls beta, got to see the “Achievement Toasts” for that group of achievements pop-up. In this blog, I have “Achievement Toast” screenshots from 2014 (when I was playing a Crusader in the Reaper of Souls beta). I also have screenshots that show that I earned these achievements in 2012. Brushed Up On The Barb: Participate in the web promotion for the Barbarian. This is the banner that I made for the Barbarian. Wise To The Wizard: Participate in the web promotion for the Wizard. This is the banner I put together for the Wizard. This is the banner I created for the Wizard. This time, I used artwork that had been selected by Blizzard (instead of a photo of myself). I seem to have lost the banners that I created for the other character classes. Delved Into The Demon Hunter: Participate in the web promotion for the Demon Hunter. This is the banner that I made for the Demon Hunter. Players could use a photo of themselves if they wanted to, or could choose from artwork Blizzard provided. That photo is of me playing Diablo I on a computer that was connected to a big screen TV. 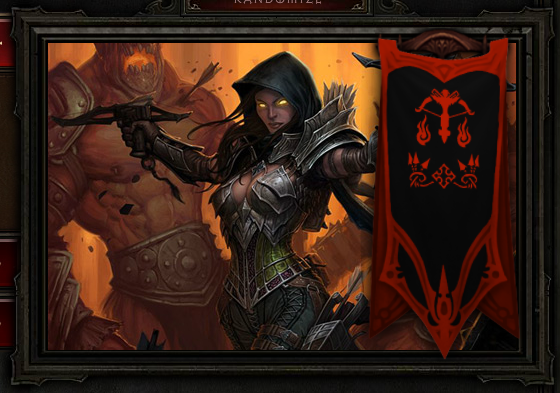 Here is another Demon Hunter banner that I put together. Witch Doctor Discovered: Participate in the web promotion for the Witch Doctor. Mindful of the Monk: Participate in the web promotion for the Monk. There was no banner for the Crusader because the Crusader class was not part of the original Diablo III game. It was added to the game in the Reaper of Souls expansion.